What will the future bring? Will the stock market crash? Will I find the love of my life? Where is my missing sock? If you want to know the answers to these questions, you should probably meet a psychic… or simply make these predictions yourself using this template! 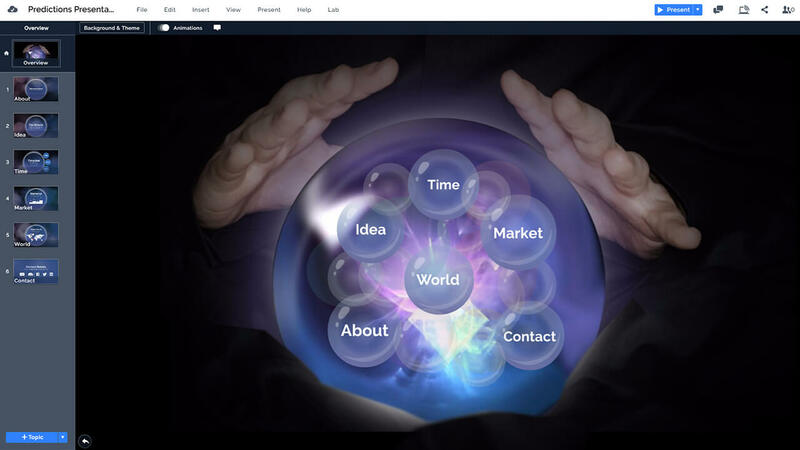 A creative Prezi Next presentation template with a magic ball/glass sphere concept. 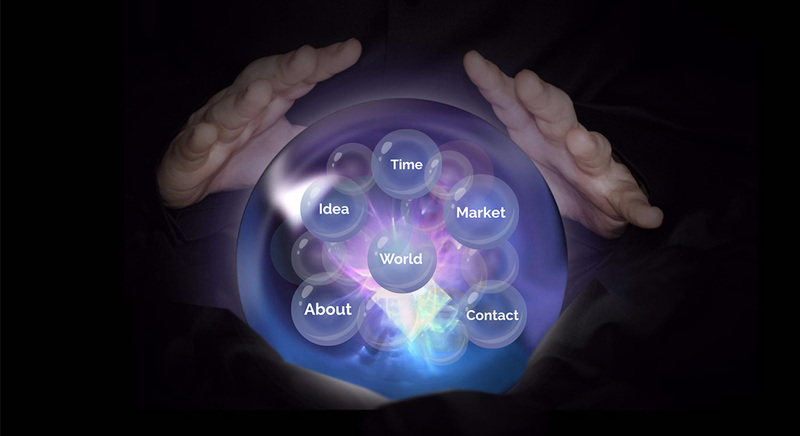 A white glowing magic ball with a fortune teller showing the future. Zoom into the topics and reveal your future predictions and forecasts. The presentation features a magical blue crystal sphere in a dark room, with a person holding her hands above the ball, just like a fortune teller. The magic sphere is filled with a glowing light and small 3D topic sphere, where you can zoom in and insert your content. Replace the example slides with your own topics and easily add more slides as needed. This entry was posted in Best Prezi presentation templates, Prezi Next Templates and tagged crystal ball, crystal ball powerpoint template, forecast, forecast presentation template, fortune teller, fortune teller powerpoint template, fortune teller sphere, future, future concept, future presentation template, magic ball, prediction prezi template, predictions, prezi next template, prezi next templates, psychic, witch.